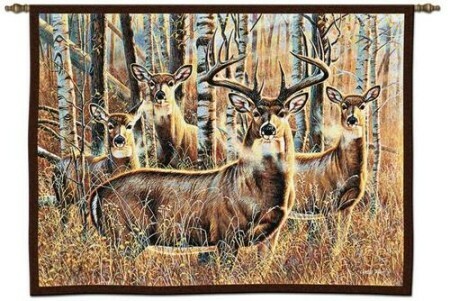 This herd of beautiful deer are almost camouflaged at the edge of the woods on our Sudden Encounter Deer Wall Hanging. They look ahead to see if there is any danger lurking. 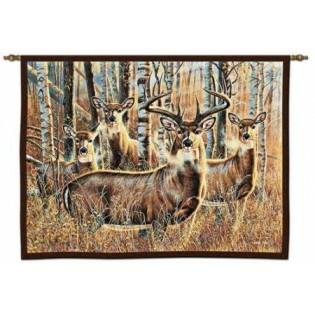 The neutral tones of browns and tans will be sure to fit with any rustic decor.